As a mother of four children, ages 2-8, I was certainly no stranger to the pit-in-my-stomach feeling of holding a sick child. In fact, just a few months earlier in this unexpectedly long sojourn, I placed a frightened call to a driver. In my lap I cradled my five-year-old son, burning too-hot with fever. With no thermometer, medicine, or transportation of my own, I knew I needed to get him to a doctor immediately. But tempering my fear, I also knew that even though I was in a foreign country far from home, at the other end of a reasonably short drive waited a quality children’s hospital. My son was diagnosed with acute bronchitis and admitted; and while it was awkward to stay overnight with four children in a room with two cribs, I simply felt grateful that we could access and afford competent care. I was fully aware that just a few kilometers away sprawled Mathare Valley, a slum where children routinely die without ever visiting a doctor. In a way, for us, it was a bit of an exotic adventure. 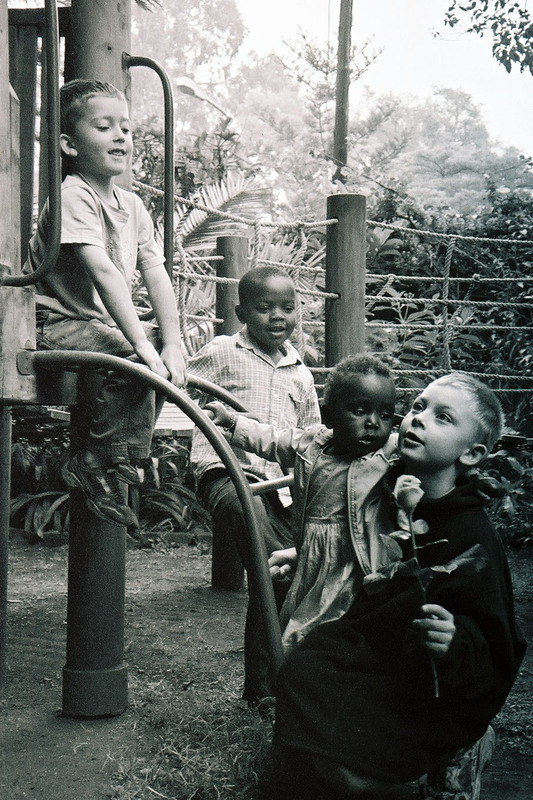 The next morning, as my son felt stronger, we visited the facility’s lush courtyard garden and relished the sight of monkeys playing in the treetops. I never feared that anything but recovery would be the outcome. But this time was different. Not only was my eight-year-old son burning with fever, he was vomiting streaks of blood. My husband was far away in the US, holding down the job that supported us. Loved ones slept, deep in the middle of a Colorado night. I placed a frantic call to the only people I knew well enough in Kenya to call upon in an emergency. My voice shook as I choked out our situation to Benson, a Kenyan Physician’s Assistant, and pleaded with him to tell me what to do. “I’ll be right there,” he said. Minutes later he appeared in our doorway with Pastor and Mama Karau. I’ll never forget the relief and gratitude that washed over me at the sight of them. After a hurried greeting, Benson immediately morphed from friend into medical provider, assessing Jacob’s symptoms. Pastor Karau bent his head in prayer. Mama Karau disappeared into the kitchen to make soup. Benson determined to treat Jacob with anti-malarial medication and to continue to monitor his condition. We sat by my son’s bed throughout the afternoon, whispering quietly as shadows lengthened. Still, Jacob vomited any attempt at fluid intake, much less food. All through those long hours, I kept asking my friends if I should simply take Jacob to the hospital so they could go home. They never shared with me what their plans had been for the day, what they gave up to keep watch with me. But they refused to leave my side. Hours later, as darkness settled outside our window, I asked again if we should take my son to the hospital. This time Benson replied that yes, it was time. I urged them to let me call a driver so they could go. I worried about their journey home late at night through the insecure streets of Nairobi. But again they rejected my appeal. In a flurry, we gathered necessary items. 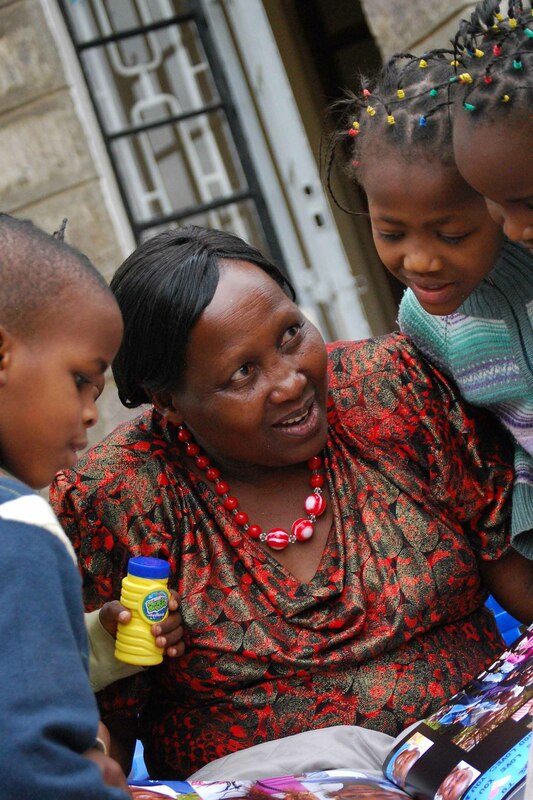 Mama Karau stayed with my youngest child, Lily, age 2, whom I was in process to adopt. We carried Jacob to Pastor Karau’s car with my two younger boys trailing behind. All through the check-in process, emergency room evaluation, diagnosis of bacterial infection, and anti-biotic injection, Benson and Pastor held our hands. In a foreign country, half-a-world away from loved ones and familiar culture, we were far from alone. In the middle of the night, the doctor released us with assurance that all would be well. Benson and Pastor Karau helped me load my sleepy children into the car. We drove back to our month-to-month rental apartment. I feared for their drive home through more sinister neighborhoods. About ten hours after Benson and the Karaus first appeared at my front door, I wearily stepped over the same threshold. I expected to find Mama asleep on my couch. But the living room was empty. I called her name and followed her reply into the bathroom, where, in disbelief, I tried to absorb the sight of her wringing out the last garments from a full load of our laundry in the bathtub. Tears flooded my eyes as I glanced from her act of sacrificial love, back down the hallway to Pastor Karau and Benson with my children. I saw true friends who embodied mercy, who stayed near to a foreigner through the long vulnerable watches of the afternoon, evening, and night. Through tears of gratitude, I saw Jesus. So scary. And so beautiful! Thank you for the inspirational powerful messages you continually give to the world. Such a beautiful story in all it’s grief and worries – and such beautiful friends to have. If only all people where like doctor Benson, pastor Karau and mama Karau, it would be so much more peace in the world. I hope your son is all well again. Thank you for taking the time to read and comment, Otto! I eagerly read all of your posts and feel honored by your encouragement. Yes, indeed, my Kenyan friends are very dear and it’s been a joy to grow in our friendships since the day I described in this post. My son improved rapidly after the story left off, and is a healthy strapping 16 year old now. 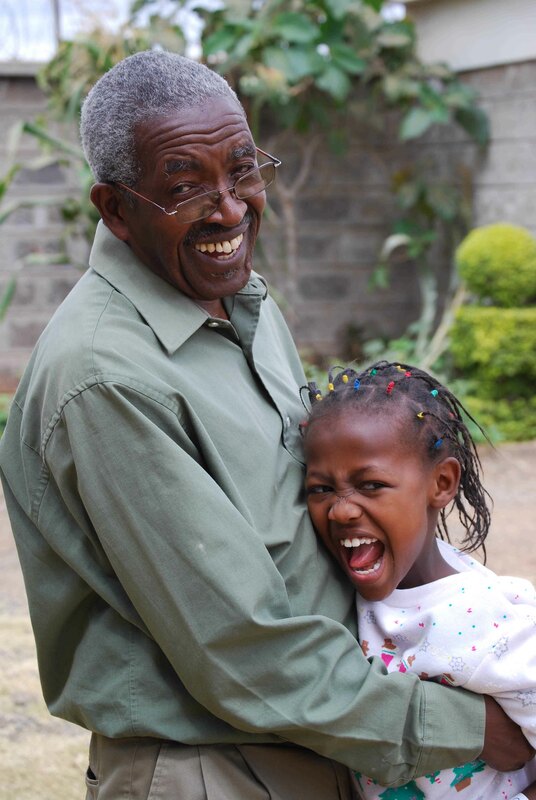 He was baptized by Pastor Karau at age 11 and continues to look up to him as a mentor. I am glad he is all well – and grown so many years since then. I take you might not be in Kenya any more? I am back in Colorado with my husband and our four kids (two adopted from Kenya) but Kenya is always in my heart. Thanks again for your critique of my photo – I haven’t had formal photography training since undergrad studies a couple decades ago (before digital), so even just that one critique gives me so much to go on to try to grow and improve. If you ever do a workshop in CO, be sure to let me know!